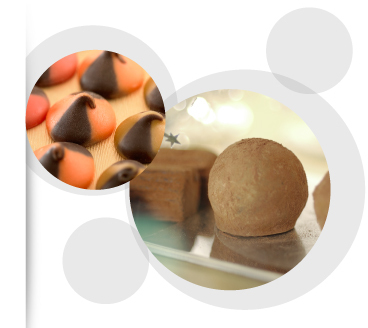 Fresco Cocoa Supply PLT is one of the leading food & beverage companies in Malaysia. We provide quality food products, information and equipment for our clients. Fresco Cocoa Supply PLT is the sole distributor of Chocolate Line products in Malaysia. As the pioneers in the chocolate fountain industry in Malaysia, we have dedicated ourselves in providing the best quality fountains and chocolate products to ensure an unforgettable, memorable experience when using our chocolate fountains. Besides providing chocolate related products, we also ventured into other foods such as twist potato, takoyaki, mix cheese potato, and crepe. At Fresco, our business concept is very simple: We wanted to offer quality and innovative business package to our ambitious and hardworking client. It has always been our goal to share our knowledge and information to our clients. We will do our best in giving the best information and equipment for you to be successful in your business. At Fresco Cocoa Supply, customer satisfaction is always on the top of our priority list. We will do everything we can in making sure that the clients are satisfied with our services and products.